I planted tomato seeds from a couple of sources. I know at least a couple plants are from heirloom seeds. I've got tomatoes coming in all over the place now, and a couple of the plants have, almost pear-shaped tomatoes growing on them. The plants are crowded, but all of the other plants have round-ish tomatoes growing on them. Any idea what kind these could be? I'll post pictures tomorrow. Sounds like a amish past tomato! Could be a ton of different things. Do you know the names of the variety's? There are a multitude of different shapes. From round to pear, strawberry, fluted and many more. My friends wife was asking what was wrong with some toamtoes I gave them. They are Kamatis Tagalog they look like little red pumpkins. Nothing wrong just a weird shape. I'm colorblind, but they're the same color as the others.. a whitish, greenish color. None of them are ripe yet. 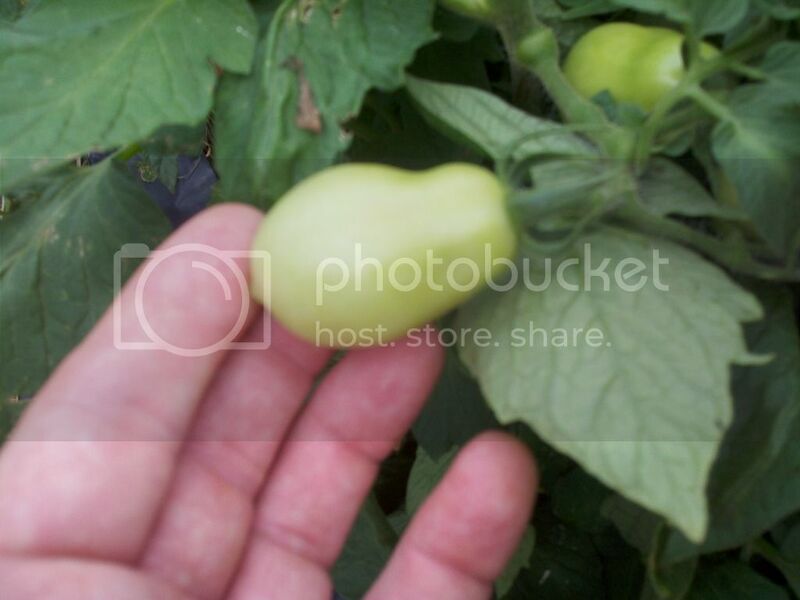 Ok, here are a couple of pictures of my weird shaped tomatoes. Any ideas what kind they are? Like I said could be anything. I could throw out 100 names. If you don't know what the seed was it is almost impossible to figure out through a pic. With all the breeding there are thousands of variety's know so hard to tell. I can say that black spot on the bottom of the tom to the right is Blossom End Rot. Do a search of BER. It is a problem with calcium take up. Too much to explain here but Goggle and you will figure it out. Oh one more thing does it really matter what it is called? If it is something you like and it is a heirloom save seed and grow it again. If they turn yellow they could be Yellow Pear tomatoes. 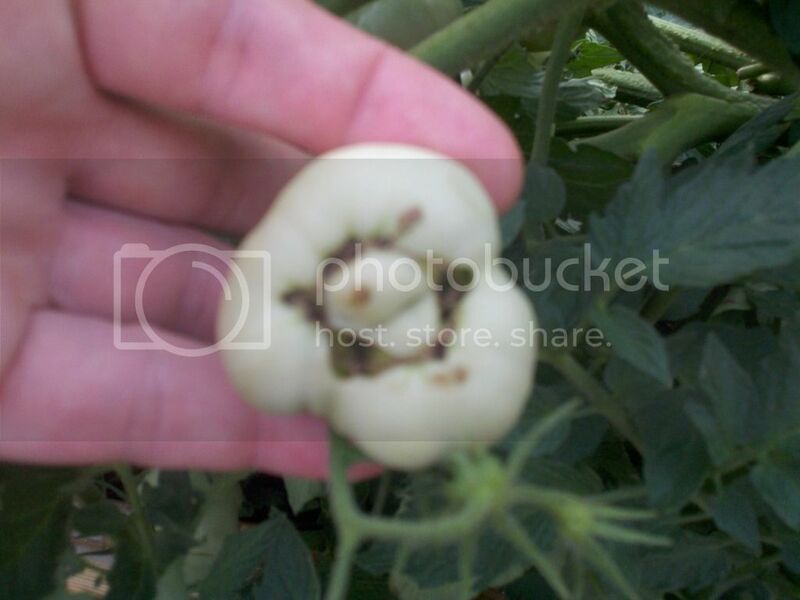 But really there are a bunch of tomatoes that have this shape. 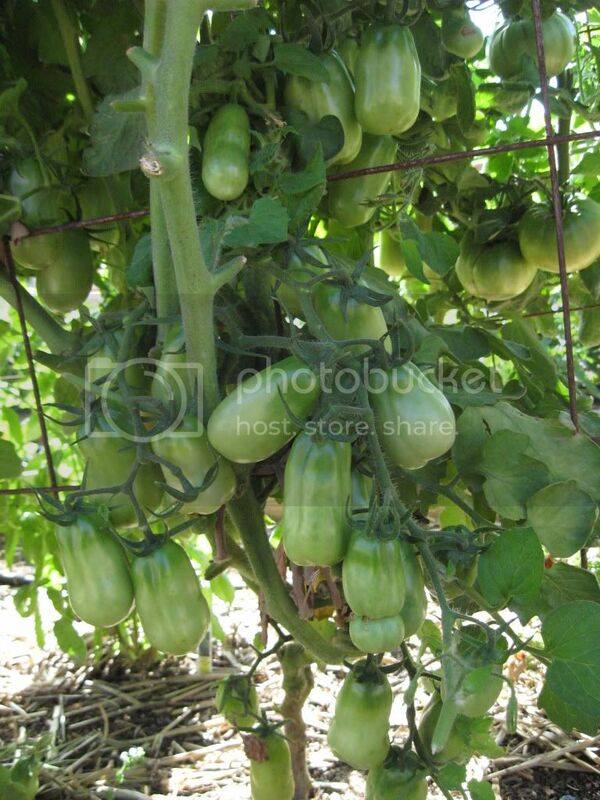 Romas even grow sorta like that. OK Gixx, hold out your hand for a slap. Sorry I was in a hurry. Forgive me I will be in the corner if you need me. Last edited by gixxerific on Wed Jul 11, 2012 8:32 pm, edited 1 time in total. looks like a San Marzano tomato but it could be any of a thousand at this point. 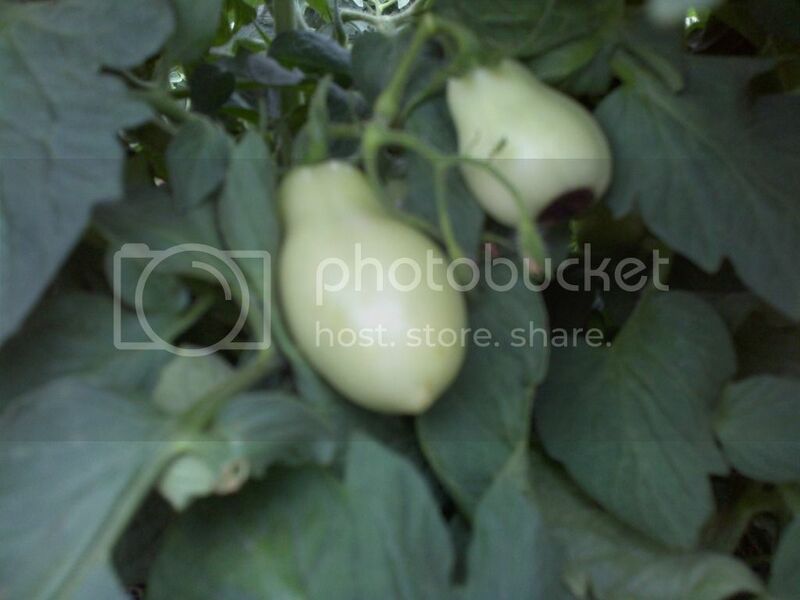 Here is a picture of one of my San Marzano's from last year. With the blossom end rot I am thinking it is a paste of some type. 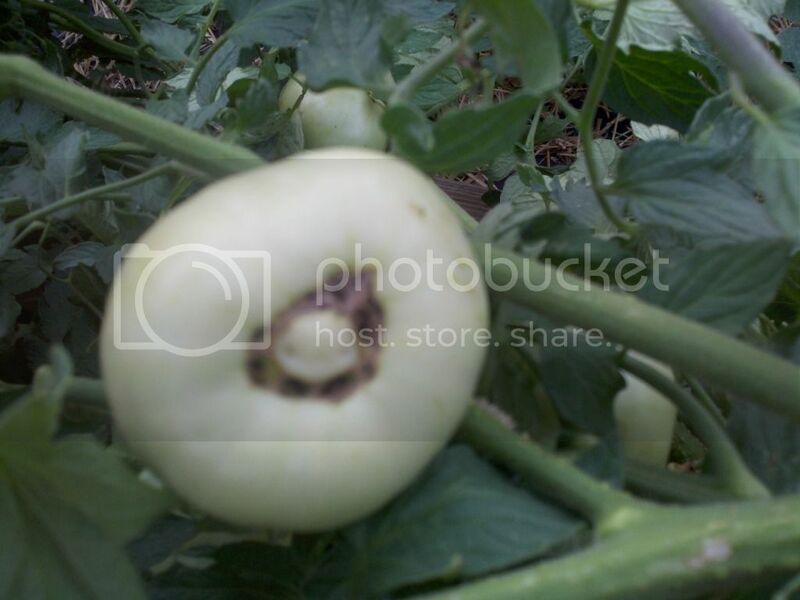 While we're at it, can someone identify the problem I'm seeing on some of my other tomatoes? Pics below. The images aren't the greatest. These aren't just spots, they're holes or the beginnings of holes. Should these and the ones with BER be picked and discarded? Just cut out the bad portion. I let the ber ones ripen than I use them for seed saving. If you are not saving seed and you have more than you need you can remove the ones with ber to save energy for the rest. The cat facing ones are not a real problem just more ugly than they shoul be.